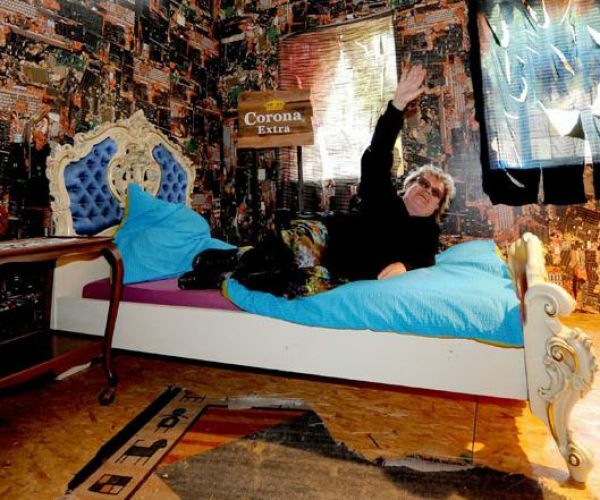 Designer H.A. 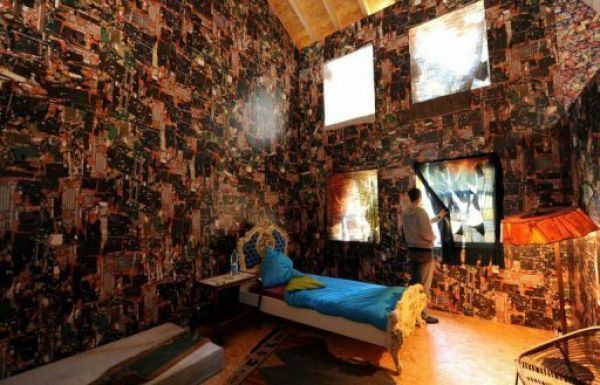 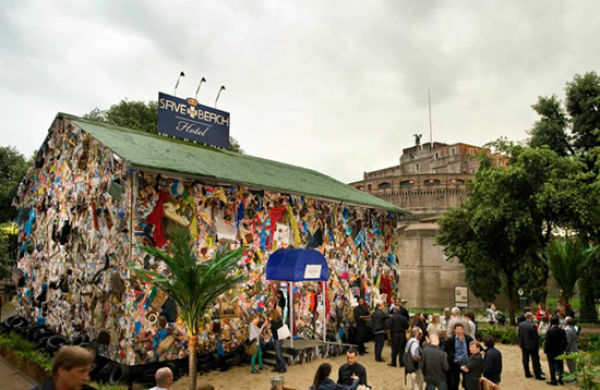 Schult has designed the world’s first hotel made entirely of garbage in Rome. 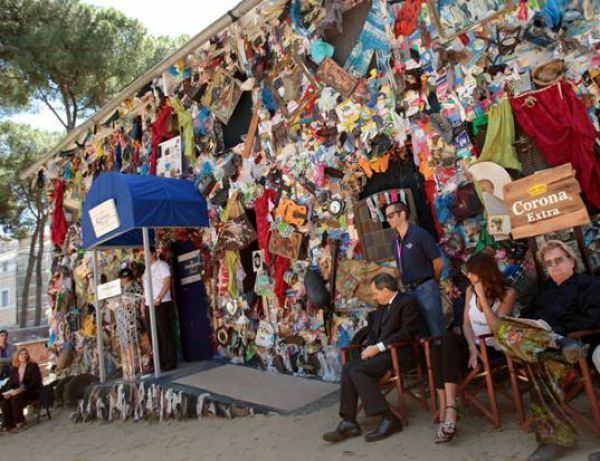 The walls are constructed using the masses of debris that are found on the beaches of Europe. 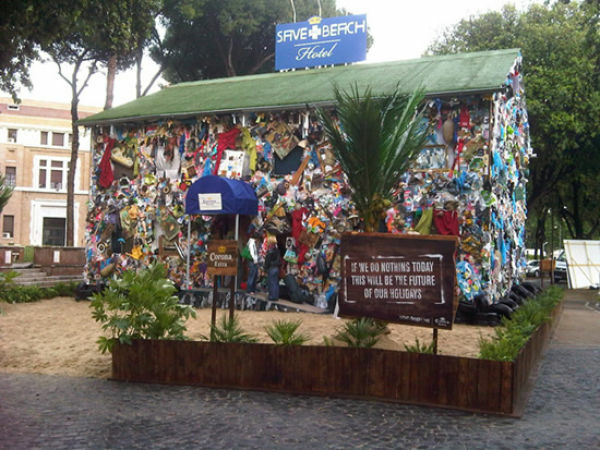 The hotel is part of a publicity campaign by the environmental group Save The Beach, to draw attention to the problem of pollution on the coastline. 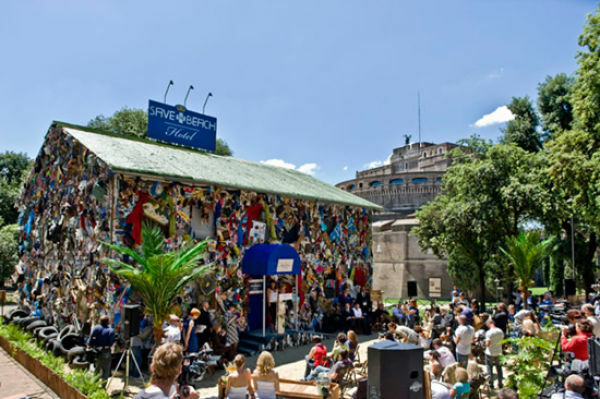 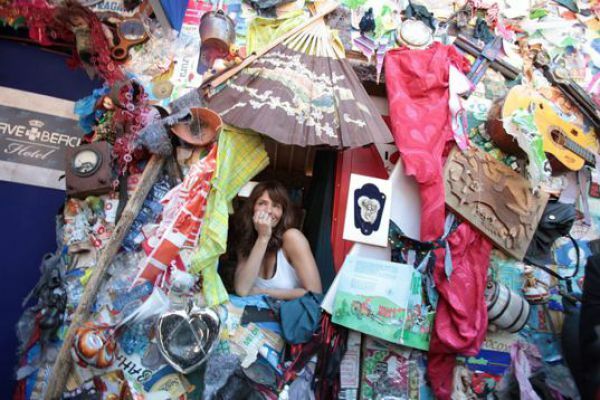 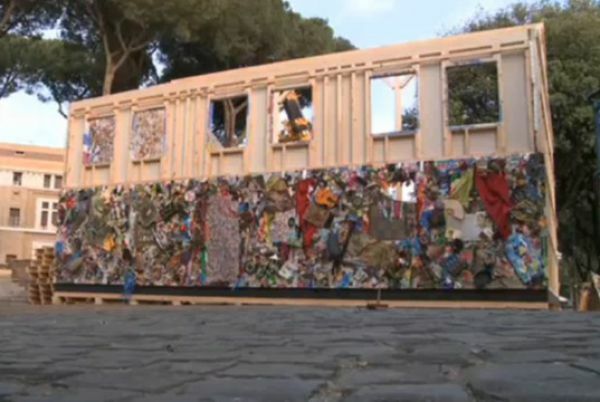 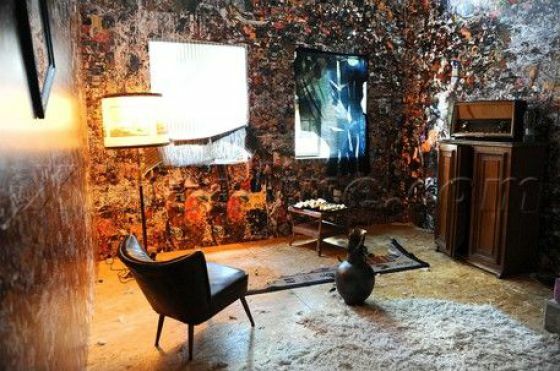 The doors of this bizarre hotel, made of garbage, have opened to the public, last week, in Rome and has already received the support of various celebrities, like Helena Christensen, the famous model, who agreed to spend a night in the Save the Beach Hotel.